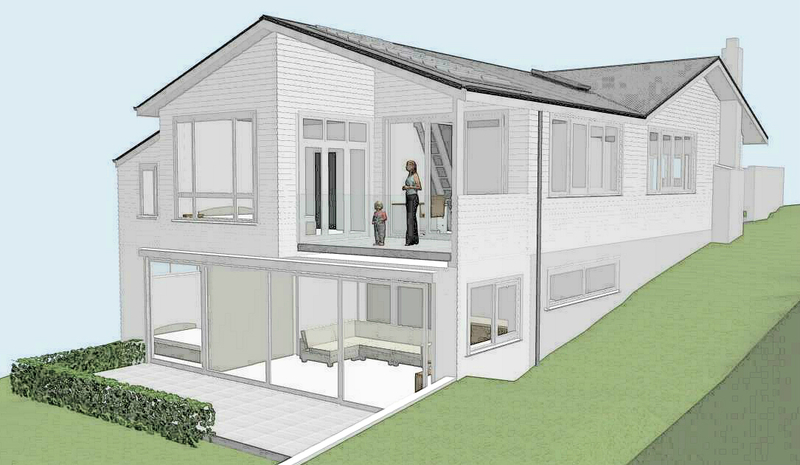 This project includes additions and alterations to an existing bungalow to accommodate a family’s growing needs. The brief is for additional bedrooms, bathrooms, and living spaces for separation and entertaining. Better connection between floors and to the outdoors, with lots of natural night and sun gain, is a key component to the design. The rear of the house is being extended to accommodate the extra spaces, maximizing all District plan requirements, without affecting the amenity to neighboring properties.